A two-component acrylic PU coating with exceptional long-term resistance to chemicals and moisture. It is the preferred choice for industrial and marine applications. Luxathane 5160 is the ideal choice for mild steel or galvanized iron surfaces that require exceptional protection, especially when combined with an epoxy undercoat. Luxathane 5160 is a two-component acrylic PU coating that finds a wide application in industries and marine environments – particularly offshore and onshore pipelines, tanks, chemical storage tanks, and more. 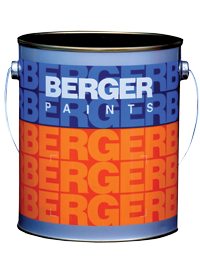 Its long term endurance and resistance to a range of chemicals and moisture is matched by its neat and glossy finish. Surface preparation Blast clean and make sure that the underlying surface is sound and undamaged. Remove all wax, oil and grease with a solvent. Clean thoroughly to remove soluble salts, dirt and dust and wash with fresh water. Pre-treat with one coat of Luxaprime 1500 and prime with a primer from the Epilux, Zincanode or Epimastic range of products. Application procedure A build coat of Epilux or Epimastic range of intermediate coats can be applied. Luxathane 5160 comes in two packs, which must be mixed and allowed to stand for at least 10 minutes before application, to allow aeration (circulation of air through the mixture) to settle. An airless spray or conventional spray may be used. Use a brush or roller only for difficult shapes or touching up. 1Why does the paint on my wall look wrinkled?